Welcome to Brite Entertainments, we are a company specializing in event planning, organizing and management in Ankleshwar. 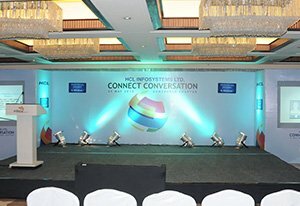 Our courteous and extremely talented team will always come up with great out-of-the-box ideas for handling your event. Skilled and trained team works out a thorough plan paying attention to every details. We aim to provide 100% customer satisfaction and are available at any time to answer your queries. We are a one stop solution provider in field of event management. We have decades of experience to understand the needs of various events and are always in tune with the latest market trends. We offer best services using the latest technologies at a very competitive rate, always providing the best in your budget. Whatever you are planning, be it a wedding planning, conference or corporate event, corporate trips, unique exhibition stalls, launching & promoting products, BTL events, entertainment events, fashion shows or even planning a social gathering like birthday/anniversary parties or anything we are always there to help you implement your ideas to perfection. We make sure to blend in our years of experience & expertise to conceive, arrange, execute and stylize the event for you. Leave all the logistical worries to us and you can enjoy the event with your guests and have a blast.